GoAnimate for Schools is thrilled to update everyone on its partnership with The Clipperton Project. 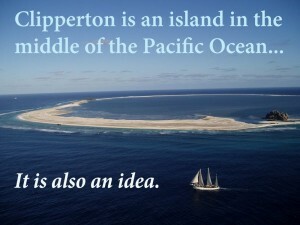 The Clipperton Project is a collaborative, public conversation about environmental and international issues set in Clipperton, an uninhabited French island off the Mexican coast. It brings together artists and scientists from around the world and is a means through which they can merge arts and science to effectively convey and raise public awareness of global environmental and social issues. Thus, it is both a place and an idea. Because the nature of the project is an international dialog, students are invited to participate in the conversation. 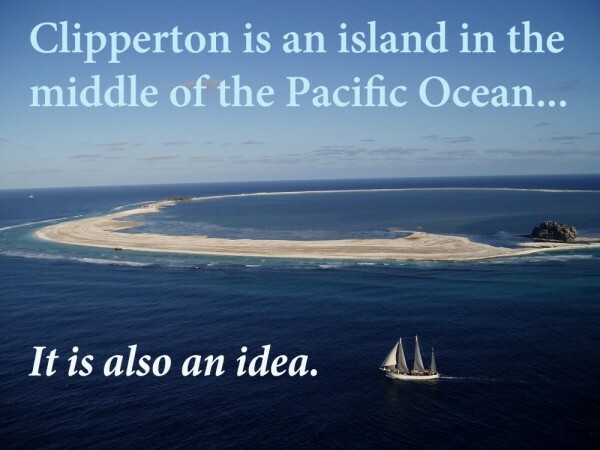 Here is the original post detailing our partnership and the contest they are holding, and below is Jon Bonfiglio’s second blog installment describing the progress of The Clipperton Project. Enjoy! The Clipperton Project is going from strength to strength, tapping into diverse communities across nations, in particular their mutual sense of wonder at the world around us, and how we might come to participate better as custodians of our space. The TCP summer programme of events has just begun in Europe and will feature in the United Kingdom, France and Spain before events launch in the Americas later in the summer. GoAnimate! and the Your Ideas, Our Future programme are core participants in the ethos and practicality of all of this work, feeding off and encouraging the positive possibilities of problem solving through creativity. Young people aren’t just the future, they are tomorrow’s ideas, and through this programme, we can encourage them to think about the right things, in the right way, coming up with the right kinds of solutions. How To: Create Animated Characters Using the GoAnimate Character Creator!